Vintage Crime/Black Lizard, 9780345804907, 400pp. Now a routine promotional appearance has become a missing persons case. And Andrew Yancy, disgraced detective-turned-health inspector, is on the job. 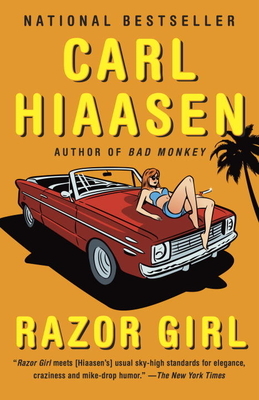 That the Razor Girl may be the key to Yancy's future will be as surprising to him as anything else he encounters along the way—including the giant Gambian pouched rats that are haunting his restaurant inspections.